Plant, care, watch, wait, stand back and admire … repeat. How immensely satisfying it is to plant a bulb, seed or seedling and watch it develop and finally bloom. Had I known all this 30 years ago I may well have made very different career choices in life. How I envy those who chose the road of Horticulture or gardening as their profession. Don’t get me wrong, I love my work, but oh my! I admit to loving my garden a whole lot more! 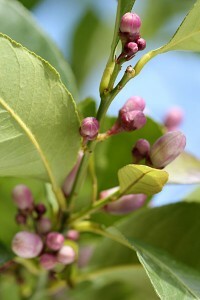 What a Joy it is to step outside on a Spring morning and discover new blooms and fresh new shoots on plants. 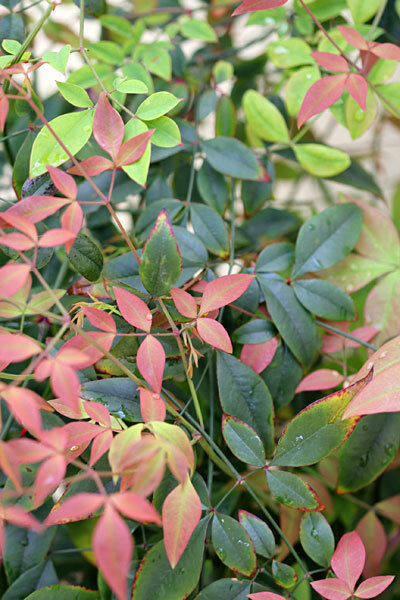 From bulbs that are blooming to plants specially selected for foliage … add some loving care, a good downpour and then a bit of sunshine and … Ta Da!! Today the first of the +/- 80 Liliums I planted is blooming, and how gorgeous it looks. Of all the bulbs I planted I am finding the Liliums the most satisfying. All the bulbs have come up, some are standing 1.5m high and all are covered in buds. 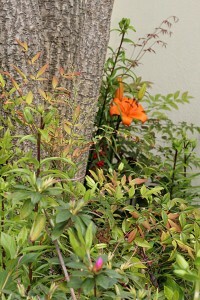 The Lilium Longiflorum (St Josephs Lilies) bulbs were planted towards the back of the bed and the slightly shorter Asiatics were planted slightly forward. The overall look of the bed is fabulous – even without the flowers. The individual plants are strong and standing proudly upright (no staking required although I’ve read it is sometimes required) and I enjoy the shiny green foliage that has filled the bed and makes it look most promising. (I will do a post soon to show before and after photographs of this bed – It’s an amazing transformation – my absolute favourite right now). Wherever you are, I hope you are enjoying the fruits of your labour, regardless of the season! I’m linking this to Weekendflowers # 10! Click to visit! Spring looks wonderful in your garden, and I am glad all your hard work is paying off so well. I am looking forward to seeing more pictures of your bulbs in bloom. Oh Wow! You have been patiently waiting for these – So BEAUTIFL! !Image when all 80 Lilies are in bloom – this I have to see!! Enjoy your beautiful garden and all your hard work now coming to fruition! See you soon, my friend! Thank you my friend!! I am loving the Lilies! Can’t wait to see you on Friday! Going to be fun. Hi Christine, I too wish that I had chosen a career in horticulture. Even now I consider it. 80 lilium bulbs! That will be quite something to see. I wish we could grow freesia here. I love the scent. Enjoy your weekend! 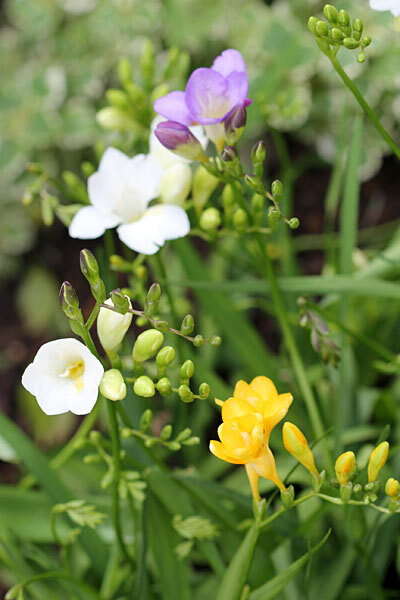 meine Lilien sind leider schon verblüht..
Love the smell of freesias…beautiful post! Hi AJ – Thank you. I am in awe of your photographic skills! Your entry for Weekend flowers are outstanding! I’m still waiting on my Asiatics to bloom. I only just discovered the joys of growing Lillium last year, having never tried before. Now I’m a convert. 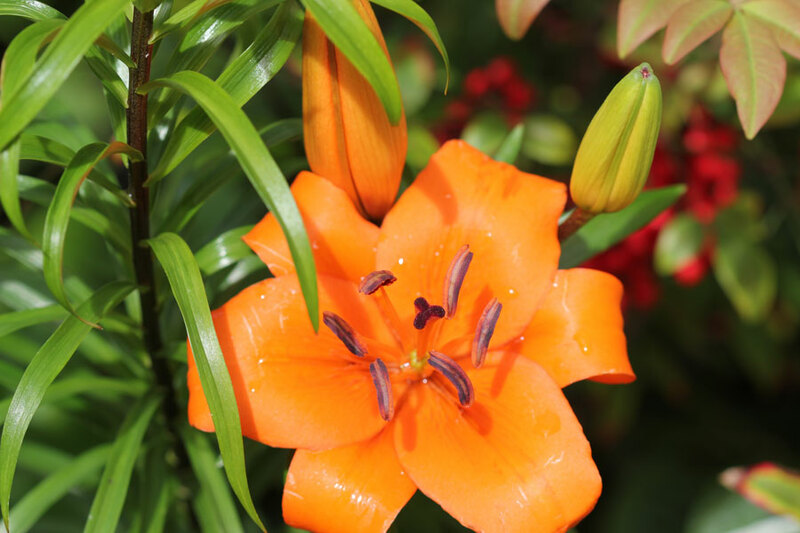 Love the colour of your first Asiatic Lily. 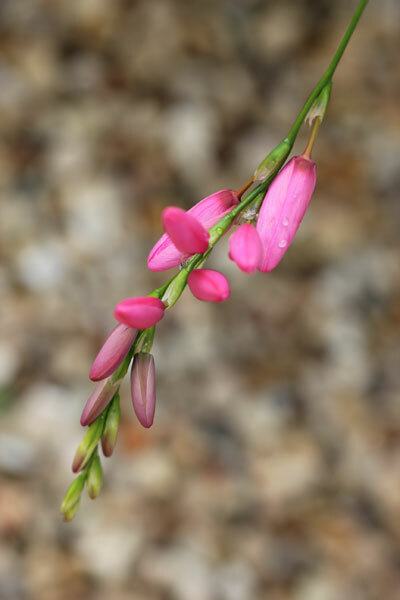 How I wish I could grow Freesias and Ixias. They are just so pretty. You’ve got a whole bunch of lovely sprintime blooms to show today. I’ll be looking forward to seeing more photos of the other Lillies as they start to show off. Wow…I can’t wait until everything is blooming. As we move into fall and then winter, it will be nice to view your garden with all of its color and interest. 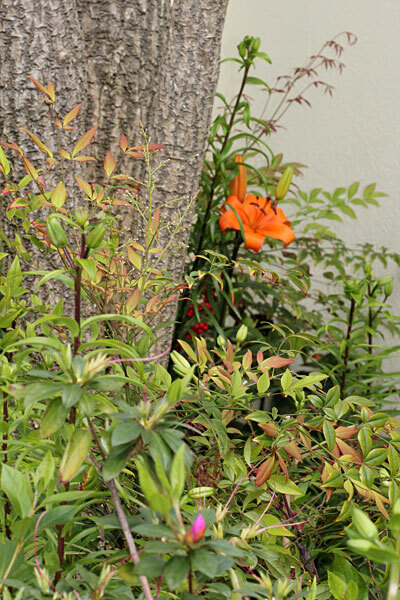 Hi Michelle – how lucky we are to be able to share in each others’ gardening joys from afar. I’ve enjoyed your garden for the last few months (and learnt so much from you too). I have many lilies and the first to open is always special. I have not staked mine. They usually withstand the storms and wind. Your garden photos are lovely. 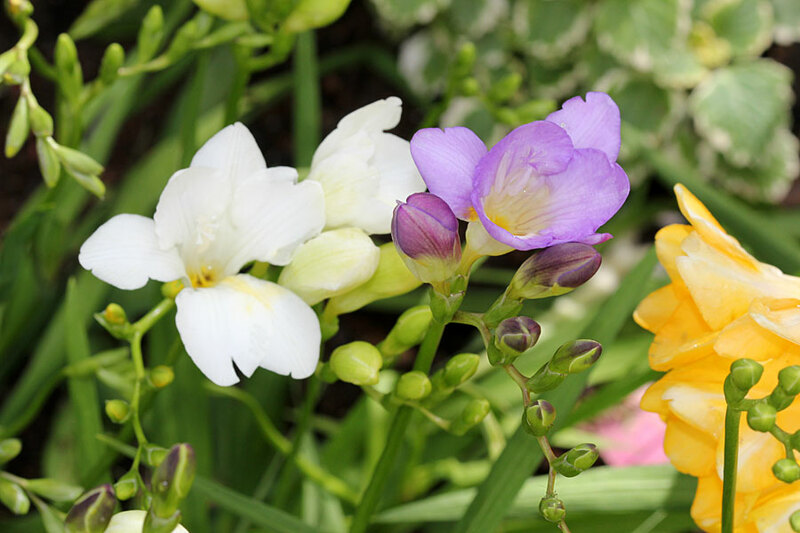 Freesia is a fave of mine and I wish I could grow it. Hi Donna! I never imagined it would be so special to watch flowers blooming for the first time in one’s garden. It is an absolute joy! Welcome to Weekendflowers! I´m glad you´re joining us with this lovely spring flowers. On Monday you can come back for voting the most lovely flowers! …. und dein deutsch ist perfect Danke schön! Christine, your garden will look absolutely amazing when all the 80 lilies that you planted are in bloom. A lot of work I guess, but it will be so rewarding. Somehow I am not yet so much into planting blubs, except some glads (6 glads to be precise ), but you really make me excited to try some more! I love your white/pale lavender freesia! Great quote by the way! 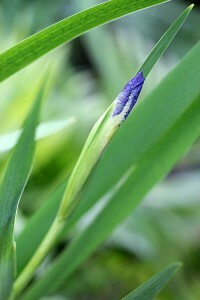 Off to my garden to check what little surprises it is holding for me today! I can’t wait for all the Lilies to bloom Christina – amazingly enough it was not as much work as I thought it would be. My soil is friable and easy to work with so it wasn’t back-breaking at all. I’m going to have to try some Glads – they are lovely. I don’t have nearly enough spring-flowering bulbs, and really need to do something about that. Yours are just lovely, although a lot of them are probably not cold-hardy enough for me. I think you would enjoy the Ixias – I don’t know why but I think of you when I see them – I think they would look great in your garden!! I need to get some grasses to plant around and amongst them. What an inspiring post! And I’d love to see the before and after pictures. Thank you Lyn! This is such a lovely comment, you really made my day! !